Hello Orlando! Today's Honest-1 Auto Care vehicle care topic is: Synthetic Oil vs. Petroleum Based Oil. 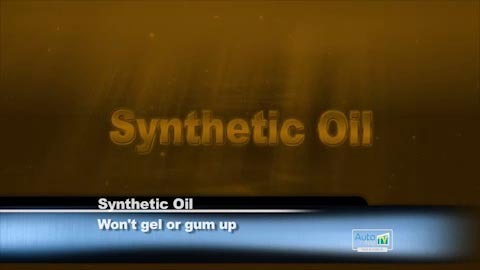 Synthetic motor oil is a substitute for petroleum based oil. If you aren't currently using it, why not? Synthetic motor oil maximizes engine power and fuel economy. To see why, we'd need a microscope, so we'll have to settle for using our imaginations. The molecules of conventional motor oil are long hydrocarbon chains. Synthetic motor oil, on the other hand, has uniform, round molecules. Which is slipperier, a pile of pencils or a pile of marbles? Some manufacturers are extending oil change intervals for many models. The added protection of synthetic oil covers you for these longer intervals. Talk with your Honest-1 Auto Care service advisor about how you drive in Orlando and see if he thinks you can benefit from synthetic oil for your vehicle. Also ask about the appropriate oil change interval for synthetic, because it may very well be longer than for conventional oil. Most Orlando drivers have a busy life and occasionally miss an oil change; go ahead, admit it. Since we're not perfect, doesn't it make sense to use a motor oil that's got your back? What about price? Petroleum based oil may appear to win out on this point, but let's consider all the facts. Though synthetic oil costs more in Orlando, it lasts longer, protects your vehicle engine better and increases fuel economy. You'll likely save money in the long run. If you're serious about making your vehicle last longer, start using synthetic motor oil right away.